How much is Jerry Bruckheimer Worth? 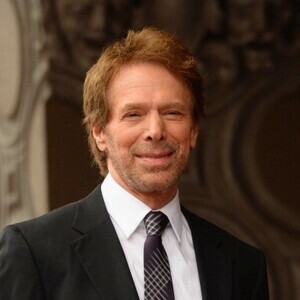 Jerry Bruckheimer net worth: Jerry Bruckheimer is an American film and TV producer who has a net worth of $1 billion. Jerry Bruckheimer is famous for producing many extremely successful films in the action, drama and science fiction genres. Bruckheimer's credits include blockbusters like Beverly Hills Cop, Top Gun, The Rock, Con Air, Coyote Ugly, Crimson Tide, Armageddon, Enemy of the State, Gone in 60 Seconds, Black Hawk Down, Pearl Harbor, the Pirates of the Caribbean movies and many more. He has also had major success in the world of television production with the CSI franchise among others. Bruckheimer has received 30 Oscar nominations, winning 5 times. He has had 8 Grammy nominations with 5 wins, 23 Golden Globe nominations with 4 wins, 30 Emmy nominations with 6 wins and 8 People's Choice nominations that have resulted in 4 wins. His TV shows have been produced by Warner Brothers and his theatrical releases by Paramount and Disney studios. Entertainment Weekly has dubbed Bruckheimer "the most powerful man in Hollywood". He remains active and engaged and has new productions in the planning stage at all times. Bruckheimer has also produced several popular television series. 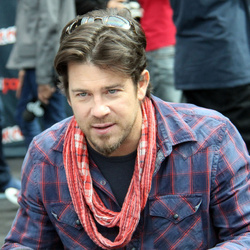 He is known for producing drama and reality shows including The Amazing Race, Lucifer, Training Day, CSI: Cyber, CSI: Crime Scene Investigation, Hostages, CSI: Miami, CSI: NY, The Whole Truth, Chase, Dark Blue, The Forgotten, Miami Medical, Cold Case, Without a Trace, Eleventh Hour, Close to Home, Justice, and more. In 2013 he was awarded a star on the Hollywood Walk of Fame at 6838 Hollywood Blvd. At one point Bruckheimer had three of the top 10 rated TV series in the United States. His wife Linda Bruckheimer is an editor and novelist. Other Investments: Jerry Bruckheimer's net worth has been boosted by investments in real estate and even an NHL expansion team. He owns a large farm in Kentucky and a significant amount of commercial real estate in Santa Monica, California.